In most commercial control room use cases, a VMS solution will more often than not provide a comprehensive and effective solution for your remote monitoring requirements. Sentian provides a unique value proposition for clients with multiple small to medium size, geographically distributed, sites requiring protection and monitoring. It is a familiar story to many South Africans: boy meets girl, boy and girl marry, buy a house in a leafy Johannesburg suburb, get broken into, spend a fortune on home security, then get woken up by a false alarm every second night. When Tigue Little found himself in this position, he had an idea for turning frustration into opportunity, and three years later he and business partner Trevor Lewis formed the company Sentian. Read the full story on the Security Solutions Magazine. 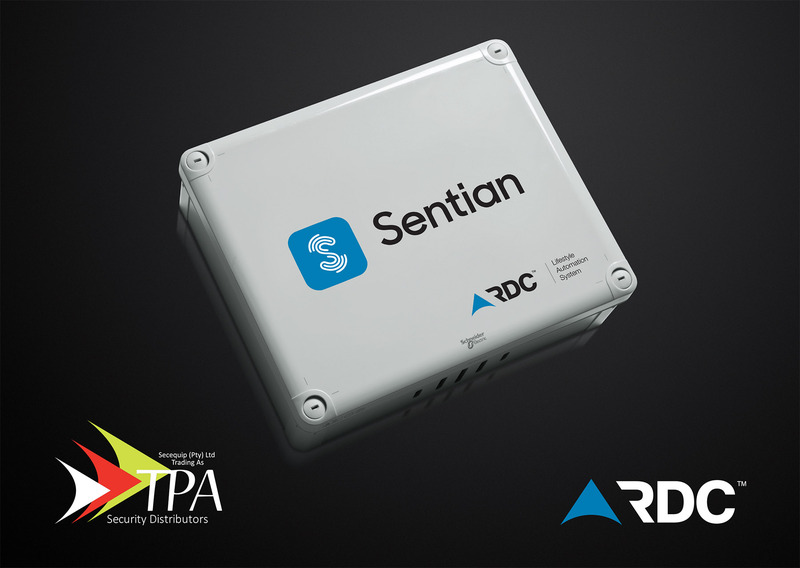 Sentian's recent collaboration with RDC and TPA featured as the cover story in the Security Focus Africa April 2018 publication. Read more details below. 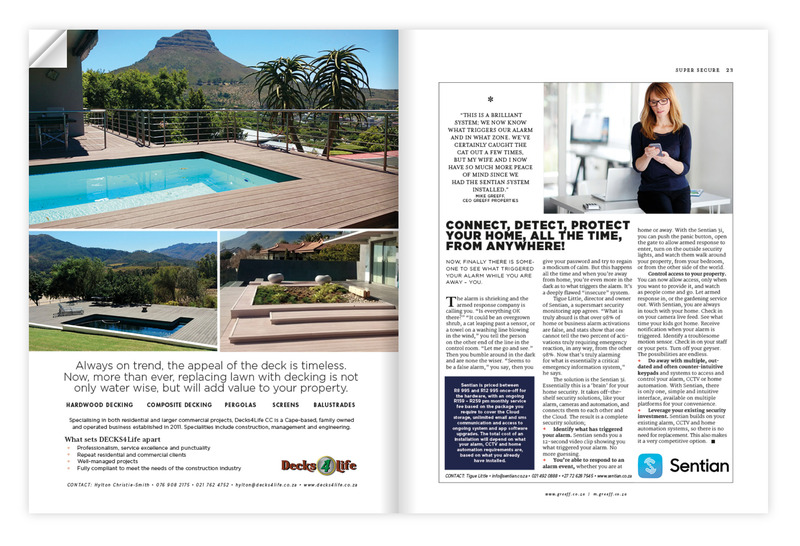 We have been featured in the latest OUTLOOK a Cape Property and Lifestyle magazine by Greeff. We were recently nominated for the Cape Talk Small Business Awards. Read the full submission on the Cape Talk website.